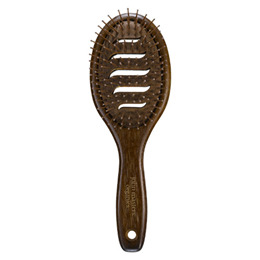 Pamper your hair with this professional quality vented paddle brush. Ionic bristles infused with tourmaline are gentle on hair and help create negative ions to help dry hair faster. The vented body allows for quick & easy styling and blow drying, and the handle is ergonomically designed from lightweight, eco-friendly bamboo for effortless handling. Bamboo is a natural product, so handle colour may vary. Below are reviews of Vented Paddle Brush by bodykind customers. If you have tried this product we'd love to hear what you think so please leave a review. 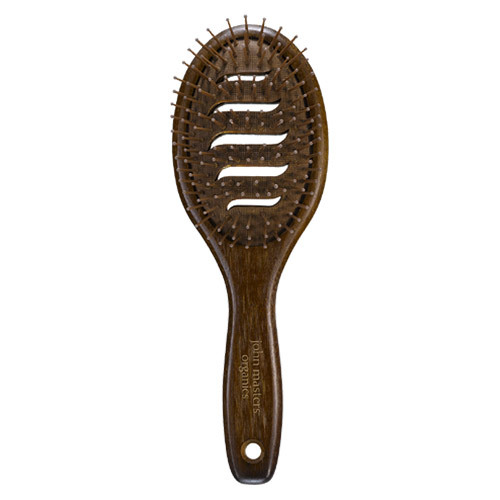 Pamper your hair with this professional quality vented paddle brush. Ionic bristles infused with tourmaline are gentle on hair and help create negative ions to help dry hair faster.